You plan to travel to Barcelona and don’t know where to start. Itineraries? Where will we eat? Things to do? From Fuster Apartments we want to offer you a easy way and make your trip as comfortable and organized as possible in the simplest way. 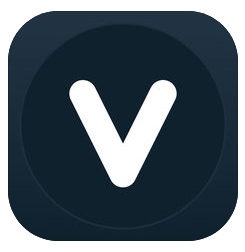 We all know that mobile applications make our lives easier. It is no longer necessary to carry the backpack with guides and maps to get around the city. Now everything is in the palm of your hand. 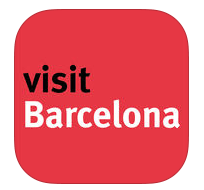 Therefore, we want you to discover useful and interesting applications for mobile phones related to Barcelona. 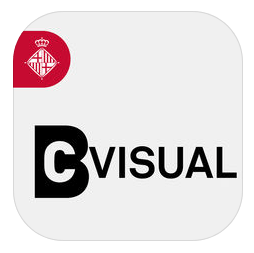 Grab your Smartphone and open the store, you have all of Barcelona in one click! 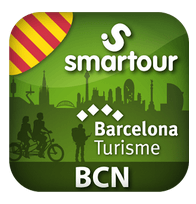 Edition for smartphone of the Official Guide of Barcelona, one more bet of the city to bring the tourist offer in the most comfortable, interactive and quick way. In it you will find the best monuments and attractions with all the tourist information to visit them and practical and essential information. – Offline maps of the metro network, and the tourist bus. – The essential if you travel with children. – Accessible tourism in Barcelona. – Photos in full HD. 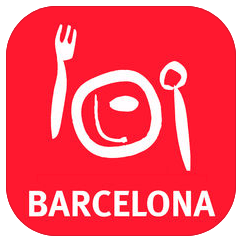 The official restaurant guide of Barcelona made by Turisme de Barcelona. In this app you will find an updated orientation to the culinary proposals of the city, with a selection of 170 gastronomic establishments, of high quality and with very affordable prices. 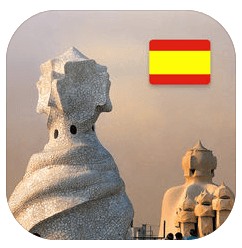 It is the app par excellence to discover the best Barcelona plans and from other cities in the world. The trendiest of Barcelona is its varied offer of leisure and culture and here you order according to your tastes. In Fever you can find the best of: music, theaters, restaurants, adventure sports, cinemas, nightclubs, exhibitions, fashion … the hard part will be choosing! Something else to add? Easy. Gaudí is not only La Pedrera, Casa Batlló and Drac del Parc Güell, but much more. This platform shows you everything there is to see and know about this referent of modernist architecture. This official Audio-guide offers audio content to discover the Romanesque and Gothic medieval architecture of the golden age of Barcelona. A period, from the 12th century, when, thanks to the dominion of a large territory that included points as distant as Sicily and Athens, Barcelona was an important commercial center of the Mediterranean. 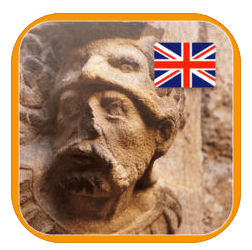 All the medieval history of Barcelona on your smartphone. 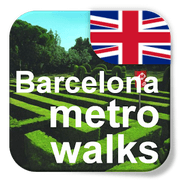 With Barcelona MetroWalks you can get to know a different Barcelona through seven itineraries organized in proximity areas, beyond the center of the city. Combining the metro, walking and some bus or tram routes, you can get to know the city of Barcelona inside, its history, its neighborhoods, its urban development … Get to know Barcelona and all its corners easily with this official audio guide. Find the means of transport in an easier way, plan your route and know the waiting time you need for the bus you have to catch. 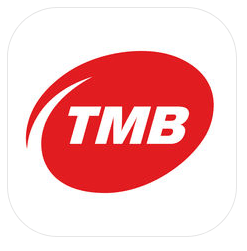 TMB App is designed so that you have at your disposal all the information of TMB (bus and metro of Barcelona) that you need in your day to day, wherever you are. Feel the authentic experience of 21st century tourists and download the official video guide of Barcelona, based on geo-referenced videos of high quality. Video guide with integrated GPS, which includes 20 points of tourist and cultural interest. It is the most curious app. You can compare old photographs of buildings with how they are today. Living the past and the present at the same time is possible. There is also the section of Augmented Reality, which allows locating – with the help of a radar – the closest places where there is a photograph. By focusing the current building and superimposing the old photograph, you can see the differences by modifying the degree of opacity of the superimposed images.